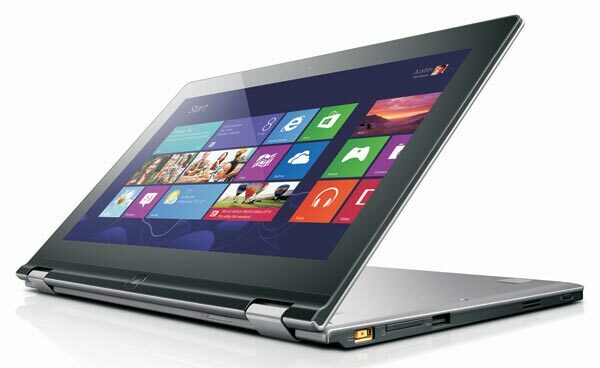 Lenovo IdeaPad Yoga with the 11S today at CES expands its product portfolio with another Windows 8 Convertible. Unlike its predecessor here tinkers an Intel i3, i5 or i7 processor, which supports a full Windows 8 and supplies the unit with additional power. Aside from the processor, Lenovo has not changed much, but the above innovation brings with it a great value, since the new Low Voltage Ivy Bridge chip compared to its being both significantly more powerful and more energy-saving ARM-based brother. 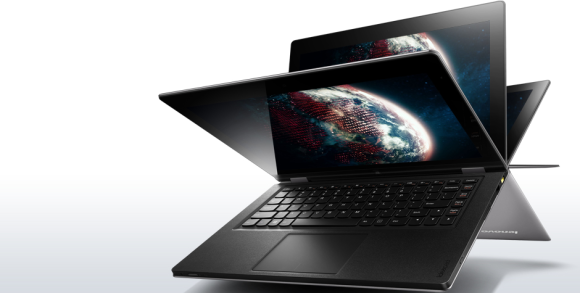 The 11.6-inch IPS display with a resolution of 1366 × 768 pixels can be turned still 360 degrees, allowing the device to be used either as a tablet or as an Ultrabook. The integrated keyboard also allows stand function - for example in the media playback or presentations. Only the value added by the powerful processor fan might interfere in daily use something that will probably show itself but only in the first test. The increase in the thickness of about 1mm in view of the expected increase in performance may not be relevant. Depending on the region, the data differ in terms of memory, hard drive size and processor, in addition to an internal memory of up to 256 GB will also stand up to 8GB of RAM. The Intel chip will be available in various versions as i3, i5 and i7. Apart from the other features are also very interesting and cutting-edge, WiFi, Bluetooth 4.0, a 720p video camera, USB 3.0, HDMI and an SD card slot is also on board. In June, the unit for $ 799 in the U.S. will be available for Germany can, for the same configuration, expect similar prices. The wait is worth it in any case, because the remake of the 11 yoga shines in terms of equipment, especially with a full Windows 8, its Convertible property and a relatively fair price.